The use of solar panels in NC is becoming a low-cost, low maintenance, high return-on-investment source of energy for more and more North Carolinians. NC Solar Panels are used in many areas of NC from Greensboro / Charlotte in the Piedmont area, to Boone and Asheville in the mountains, to Wilmington and the many beach communities. The harnessing of solar energy is not new ... Development of solar energy dates back more than one-hundred years, to the middle of the industrial revolution. Pioneering solar power plants were constructed to produce steam from the heat of the sun, which was used to drive machinery. At the same time, Henri Becquerel discovered the photovoltaic ( PV ) effect; that is, the production of electricity directly from the sun. Becquerel's research was investigated and extended by others, including Werner Siemens. Photovoltaic ( PV ) power remained more of a curiosity for many years, since it was very inefficient at turning sunlight into electricity. Solar Technology Today - Photovoltaic power can be produced in various ways, with widely varying efficiency and costs. 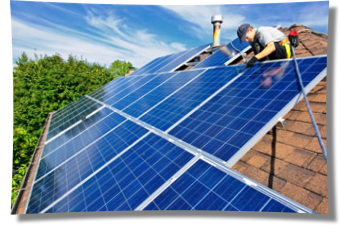 PV - Photovoltaic solar power is one of the most promising renewable energy sources in the world. Compared to nonrenewable sources such as coal, gas, oil, and nuclear, the advantages are perfectly clear: it's totally non-polluting, has no moving parts to break down, and requires very little maintenance. A important characteristic of photovoltaic power generation is that it does not require a large scale installation to operate, as different from conventional power generation stations. Power generators can be installed in a distributed fashion, on each house, business or school, using area that is already developed, and allowing individual users to generate their own power, quietly and safely. Advantages of Photovoltaic / PV Power - Rooftop power can be added as more NC homes or businesses are added to a community, thereby allowing power generation to keep in step with growing needs without having to overbuild generation capacity as is often the case with conventional large scale power systems. But even when PV / photovoltaic power is compared to other renewable energy sources such as wind power, water power, and even solar thermal power, there are some obvious advantages. 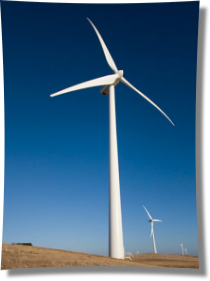 First, wind and water power rely on turbines to turn generators to produce electricity. Turbines and generators have moving parts that can break down, that require maintenance, and are noisy. Even solar thermal energy needs a turbine or other mechanical device to change the heat energy of the sun into mechanical energy for a generator to produce electric power. Photovoltaic power, by contrast, is generated directly from the sun. PV systems have no moving parts, require virtually no maintenance, and have cells that last for decades. Please Contact Us for your FREE Solar Estimate or if you have any questions about SAVING MONEY!